Themed as "Get Set to Celebrate", this month I received a beautiful, ethnic looking bag in vibrant, truly-Indian colours! Pink & Red are totally apt for the festive season & I was happy to get yet another bag that can be actually used as a clutch for those special occasions when I choose to wear Indian outfits! 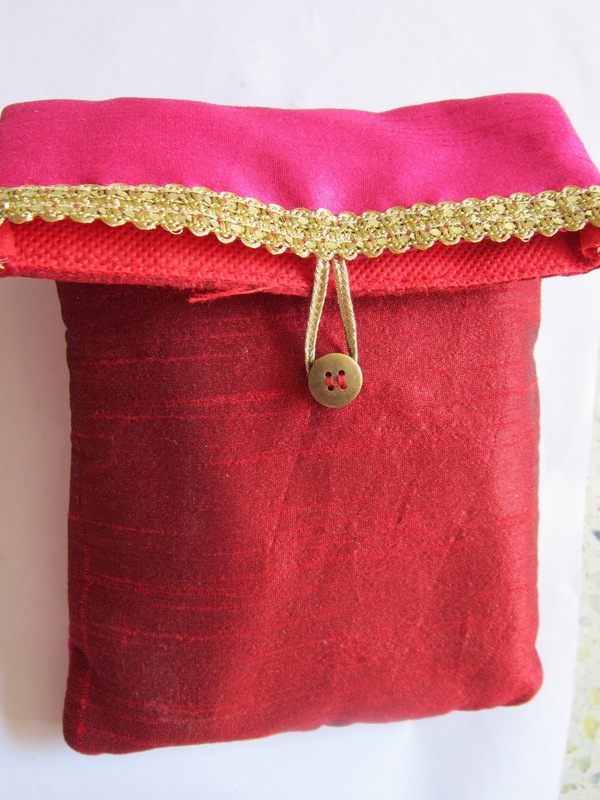 Without any fuss of zips etc, this time the bag is shaped like a traditional pouch with a button and loop to fasten it shut. Tell me this isn't gorgeous! Come on, I dare you ;-) lol And the best part is, I got to choose it to be a part of my Fab Bag..!! This is the one product I honestly haven't touched as yet...its so beautiful, I'm afraid I'm gonna mess it up. 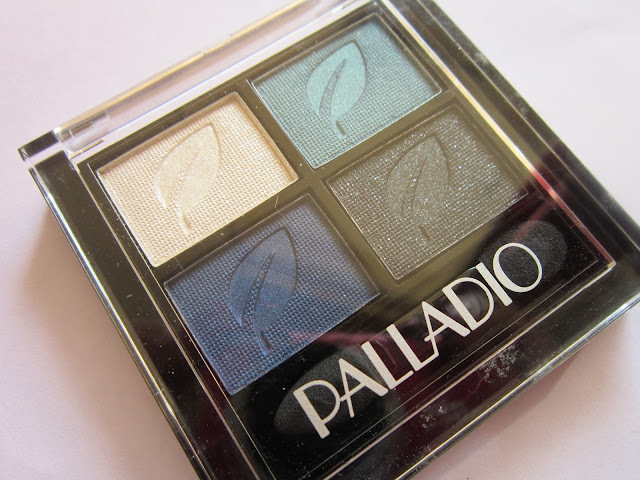 Having used Palladio shadows before, I know for sure that they're decently pigmented & extremely easy to use. You need very little to create a vibrant look. Waiting to create an eye look with this baby & share with all of you! I feel I've been gravitating too much towards Blue this year (check out my Instagram account for different makeup looks - HERE), this time I want to try something different with this quad! 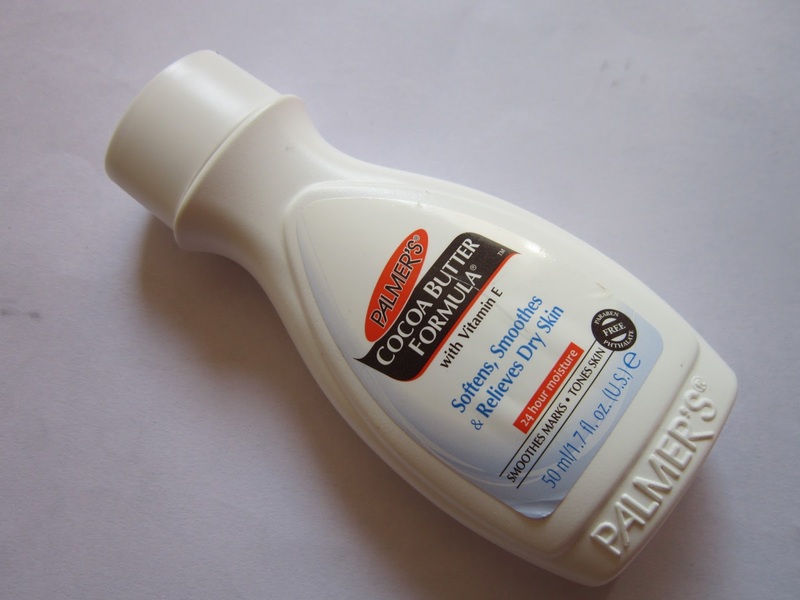 Palmer's is usually raved about & seems to have worked very well for a lot of people. I like it but its nothing to write home about (completely my opinion!!). It's particularly nice for my dry heels & elbows. It's slightly greasy to be used as an overall Body lotion & I'm currently using the Parachute Advansed Coconut Milk lotion which I'm quite happy with. 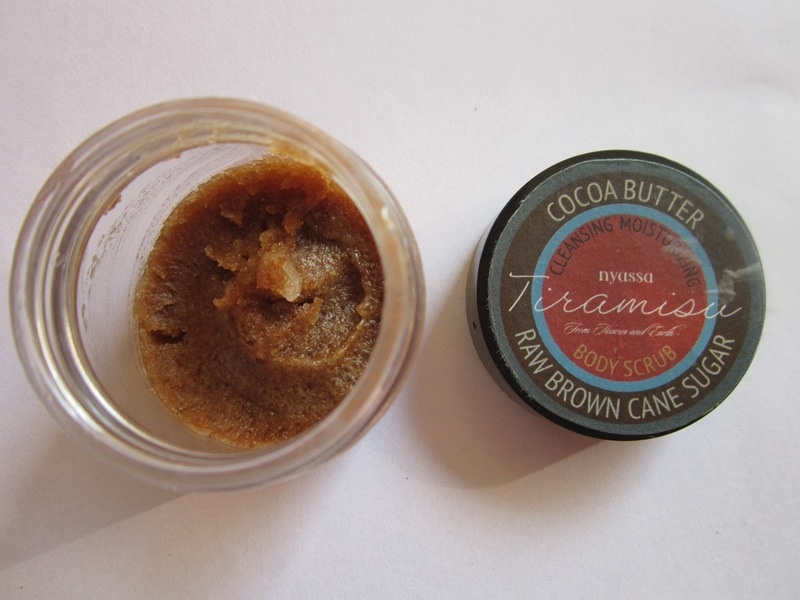 For the face, I feel the Cocoa Butter Formula is going to be too greasy for my already-oily skin. I'm thinking of holding on to this one for the winter months; maybe I'll like it better then, dunno!! Another fav from this bag, the masque is great for quick 10-min pampering sessions. I find it slightly strange that its very thick in consistency for a masque; so much so that I can hardly pick it up with my fingers. I used a small spoon to dig into it just like you'd 'dig' into an ice-cream tub! Oooh Ice cream! !...no wait I'm getting distracted. Coming back to the masque, it cleanses & refreshes the skin throroughly. Although it leaves my skin a bit dry after I take it off, I don't worry too much because I use the Kama Ayurveda Rose Water Facial Mist to re-hydrate. Overall, I really like the masque & its lovely Jasmine fragrance! A slight bummer this month was that the Team sent only 4 products instead of the usual 5. Since they pampered us with the 3rd Anniversary September Fab Bag, I'd overlook that bit ;-) I really like this month's bag as well, I feel the Team's really upping their game month after month. 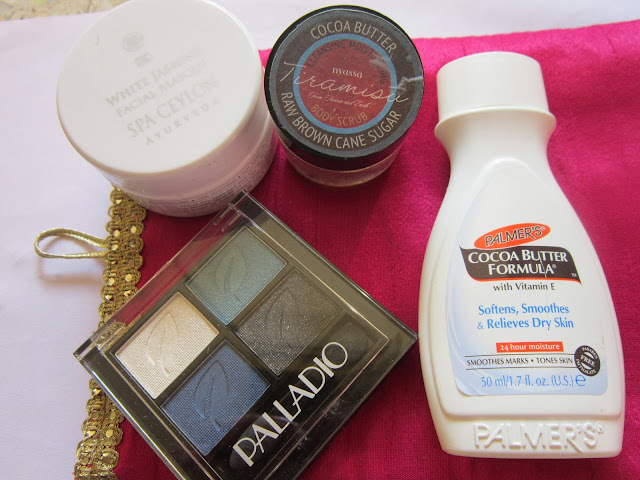 Apart from sometimes sticking to the usual suspects, they're introducing new brands every month; this month they've brought us Spa Ceylon & Palmer's. Keep up the good work Team Fab Bag!! Hope you liked this review! Are you subscribed to Fab Bag? What were your favs from this month? Do leave me comments below. Thanks Vanni! I'm glad you liked the review :-) That scrub is everything! You've got a nice bag. 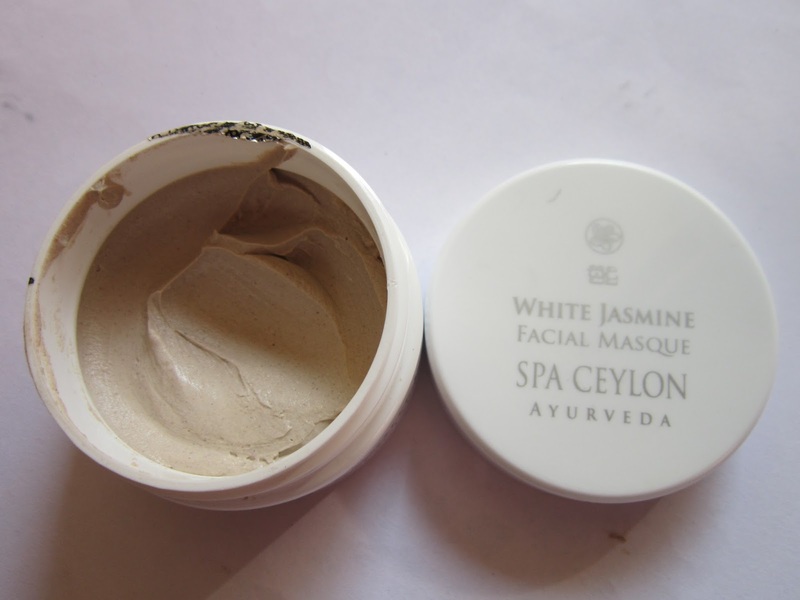 Wish I had got the spa ceylon face mask.